Also note that you can set more than 1 file to be converted at same time. 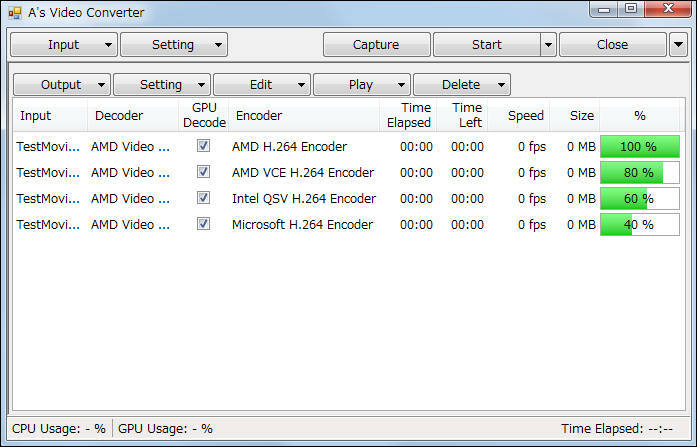 For Nvidia cards they have 2 streams encoder limit, but still good time save. I tried program but it just shows black space i.e. blank screen when I convert file. Check all settings (Encoder and decoder).